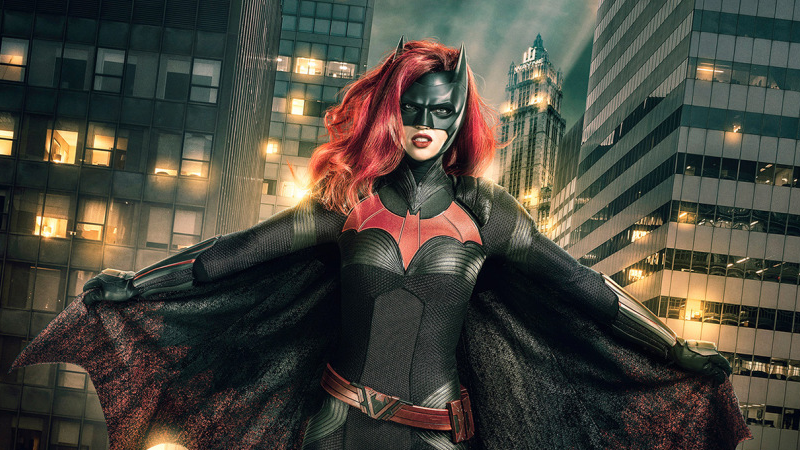 We’ve known for a while now that Ruby Rose would be heading to Gotham this winter as the CW’s very own Batwoman. But now, we actually have an official look at her in costume, and the title of the CW’s best superhero look might just have a new owner. Officially unveiled by the CW today, here’s your first look at Rose as Batwoman, ahead of her debut in this December’s Arrow/Flash/Supergirl crossover, Elseworlds. It’s a pretty spot on take on Kate’s iconic look in the comics—especially the flowing hair coming out of the back of her cowl—even if the lower part of the suit has been a little more streamlined. The design on the cape (right down to its classic shaping) is a lovely touch, to boot. And ooh, look! Wayne Tower itself in the background! Just in case you were really unsure this was Batwoman in Gotham City. Rose will make her debut as Kane in Elseworlds this December’s DC/CW crossover, ahead of a planned solo series set to air in 2019.